When Is International Day of United Nations Peacekeepers 2019? The International Day of United Nations Peacekeepers is a day to remember those who served in United Nations (UN) peacekeeping operations. They also honor the memory of people who died in the name of peace. Many UN workers are remembered for their work in peacekeeping operations. Notes in official UN documents and schedules. Presentations during UN meetings and events. Memorial services and wreath laying events for those who died in peace keeping missions. Presentation of the Dag Hammarskjöld Medal as a way to honor military, police and civilian personnel who lost their lives while working for UN peacekeeping operations. Awarding peacekeeping medals to military and police officers who are peacekeepers. The launch of photographic and multimedia exhibitions on the work of UN peacekeepers. The events take place in places such as the UN headquarters in New York in the United States, as well as Vienna, Australia, and other locations worldwide. The International Day of United Nations Peacekeepers is not a public holiday. The UN Truce Supervision Organization (UNTSO) was founded on May 29, 1948. UNTSO's task was to assist peacekeepers to observe and maintain a cease-fire. This cease-fire marked the end of the hostilities between Israel and the Arab League forces. The hostilities started after the end of the British Mandate of Palestine on May 14, 1948. On December 11, 2002, the UN General assembly designated May 29 as the International Day of United Nations Peacekeepers. The day was first observed on May 29, 2003. The International Day of United Nations Peacekeepers is a tribute to people who serve or have served in UN peacekeeping operations. The peacekeepers are honored for their high level of professionalism, dedication and courage. People who died for peace are also remembered. 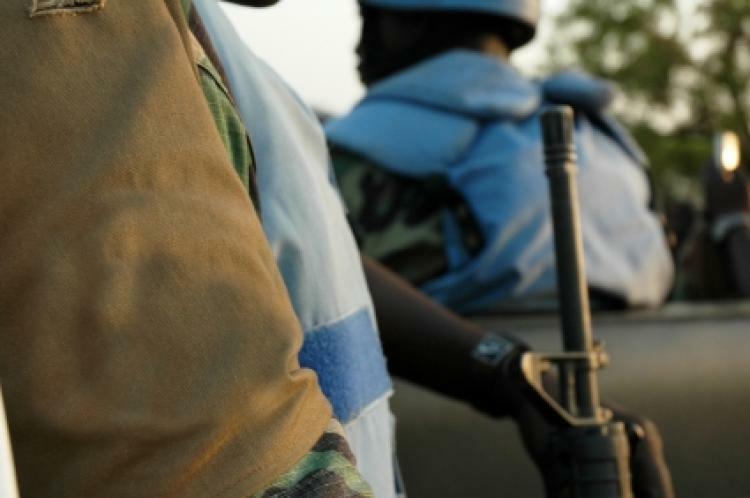 UN Peacekeepers are usually clearly recognizable. They often display the UN flag and the letters "UN" on their clothing, equipment and vehicles. They also wear hats, helmets or other clothing with UN colors.